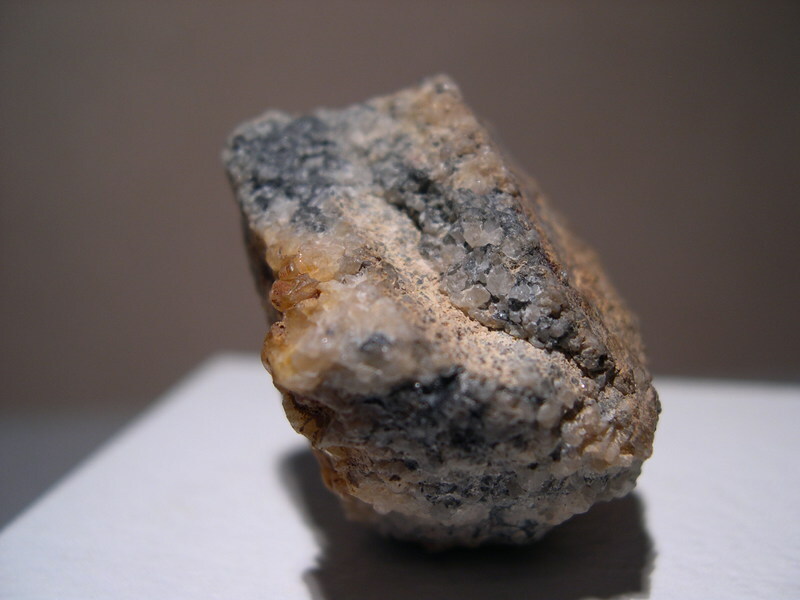 Schirmerite: Mineral information, data and localities. Formula originally suggested to be AgPb2Bi3S7 by Karup-Møller (1973). Named after Jacob Frederick L. Schirmer, Superintendent of the US Mint at Denver, Colorado. (See http://www.mindat.org/mesg-6-153088.html for discussion on origin of name). Makovicky and Karup-Møller (1977) redefine schirmerite from the type locality ("Type 2") as a disordered monoclinic phase with a composition intermediate between PbAgBi3S6 and Pb3Ag1.5Bi3.5S9. According to Moëlo et al. (2008) the composition is between those of gustavite and (Ag,Bi)-rich heyrovskýite; they state that such a disordered intergrowth is not a valid species. Moëlo et al. 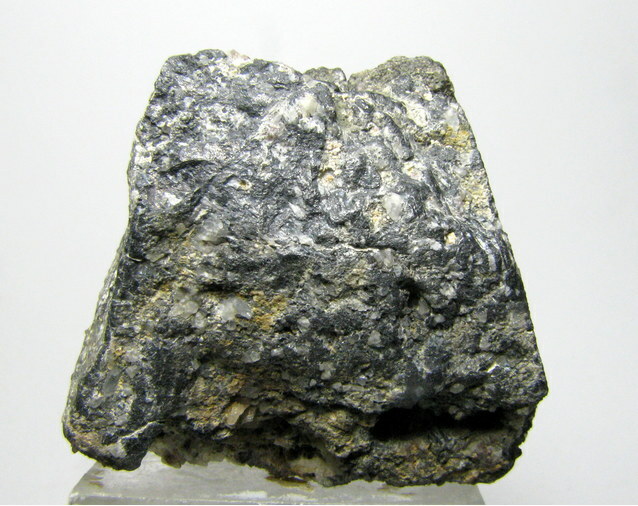 (2008) discuss whether schirmerite "Type 1" (as defined by Bortnikov et al., 1987) is equivalent to schapbachite or corresponds to an ordered dimorph. Pyrite 4 photos of Schirmerite associated with Pyrite on mindat.org. Sphalerite 1 photo of Schirmerite associated with Sphalerite on mindat.org. Treasurite 1 photo of Schirmerite associated with Treasurite on mindat.org. Endlich (1874), Engineering and Mining Journal, Aug. 29. Palache, Charles, Harry Berman & Clifford Frondel (1944), The System of Mineralogy of James Dwight Dana and Edward Salisbury Dana Yale University 1837-1892, Volume I: Elements, Sulfides, Sulfosalts, Oxides. John Wiley and Sons, Inc., New York. 7th edition, revised and enlarged: 424. Karup-Møller, S. (1973): New data on schirmerite. Can. Mineral., 11, 952-957. American Mineralogist (1974): 59: 384. Makovicky, E. and Karup-Møller, S. (1977) Chemistry and crystallography of the lillianite homologous series. II. Definition of new minerals eskimoite, vikingite, ourayite and treasurite. 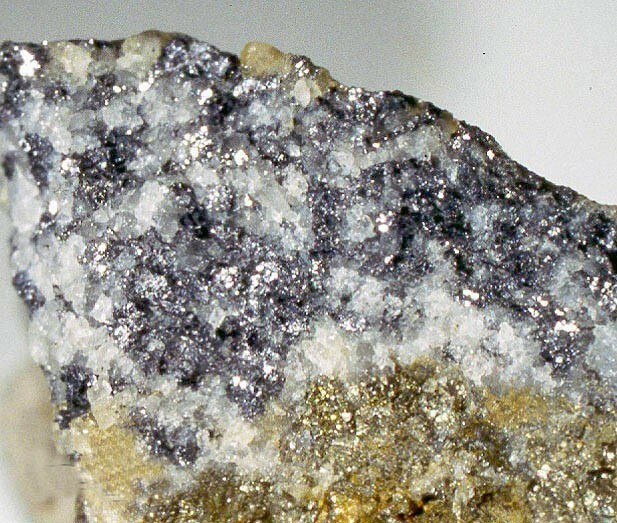 Redefinition of schirmerite and new data on the lillianite-gustavite solid-solution series. Neues Jahrbuch für Mineralogie, Abhandlungen: 131: 56-82. Moëlo, Y.; Makovicky, E.; Mozgova, N.N. ; Jambor, J.L. ; Cook, N.; Pring, A.; Paar, W.H. ; Nickel, E.H.; Graeser, S.; Karup-Møller, S.; et al. (2008): Sulfosalt systematics: A review. Report of the sulfosalt sub-committee of the IMA Commission on Ore Mineralogy. Eur. J. Mineral. 20, 7–46. Tsonev, D., Popov, K., Kanazirski, M., Strashimirov, S. 2000. Radka ore field. In: Strashimirov, S., Popov, P. (Eds. ), Geology and Metallogeny of the Panagyurishte Ore Region (Srednogorie Zone, Bulgaria). ABCD-GEODE 2000 Workshop, Guide to excursions (A and C), 32-39.
ⓘ Funiushan Cu-Au-Fe deposit ? ⓘ Kowary (Schmiedeberg im Riesengebirge) ? Gvozdev, V. I. (2009). Bismuth mineralization in ores of the Skrytoe scheelite deposit (Primorye) and problems of its genesis. Russian Journal of Pacific Geology, 3(1), 69-79. Pattrick, R.A.D. (1979) pers. comm. ; Livingstone, A. and Macpherson, H.G. (1983) Fifth supplementary list of British minerals (Scottish). Mineralogical Magazine, vol. 47, n° 342, p. 99-105.; Pattrick, R.A.D. (1984) Sulphide mineralogy of the Tomnadashan copper deposit and the Corrie Buie lead veins, south Loch Tayside, Scotland. Mineralogical Magazine, vol. 48, n° 346, p. 85-91.; Anthony, Bideaux, Bladh, Nichols (1990) Handbook of Mineralogy, Vol. 1. Biruk, S., & Skakun, L. (2012). Bismuth minerals of the Beregovo ore field: mineral assemblages and spatial zonation (Transcarpathian, Ukraine). Geological Quarterly, 44(1), 39-46. Minerals of Colorado (1997) Eckel, E. B.; Foord, E. E., & Shawe, D. R. (1989). The Pb-Bi-Ag-Cu-(Hg) Chemistry Of Galena And Some Associated Sulfosalts: A Review and Some New Data From Colorado, California And Pennsylvania. Canadian Mineralogist, 27, 363-382.